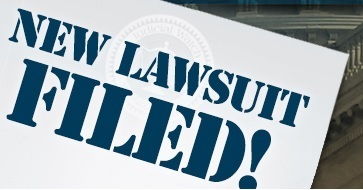 Are you facing a debt collections lawsuit by a company you have never heard of? Schedule your FREE 15 minute telephone consultation. During your consultation, the Attorney will discuss and analyze your case and provide immediate feedback. Using your information and documents, we can attend your court hearing, negotiate better settlement terms, seek to reduce the balance owed, and/or attempt to get your case dismissed. WE CAN GO TO COURT FOR YOU! WE CAN SETTLE YOUR DEBT FOR LESS! You may be facing a third party debt collector or a junk debt buyer. It is important for you to understand that your actions or inaction can have a serious impact on the outcome of your lawsuit. In many cases, if you are properly served the lawsuit and you fail to appear at your pretrial hearing or you fail to file an answer with the court within the prescribed period of time, a default judgment can be granted against you. Once a judgment against you is granted, the debt collector may move to garnish your wages, bank account or seize your property (like your car or boat) for up to 20 years. It may happen so fast you may suddenly notice that your paycheck is much less than usual. Imagine the surprise you would feel if you could not access the funds in your bank account because the debt collector had frozen it to collect its judgment. The time to act is NOT AFTER this happens, it’s BEFORE!